My daughter loves Pocky, especially after our trip to Japan earlier this year. For those of you who don't know what they are, Pocky are crisp light cookies dipped in chocolate, strawberry, cookies and cream, etc. They're crunchy, sweet, and delicious! And now you can make some fun ones yourself for Halloween, and they couldn't be easier! Melt candy melts according to package instructions. Add ¼-½ teaspoon coconut oil to the melted candy to make a smooth consistency. We used blue, lime green, orange, white, red and purple candy melts. 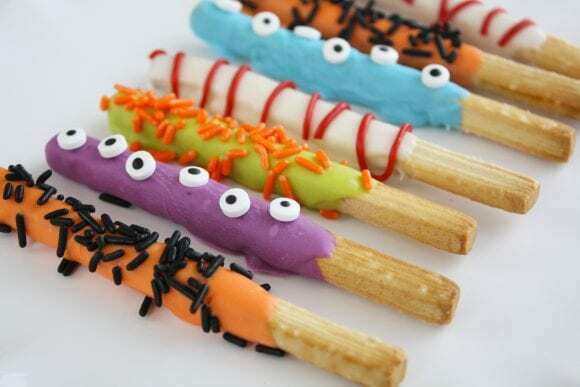 To make the monster pocky, dip the mini breadsticks in the purple and blue melted candy melts. I recommend using a spoon to scoop the melted candy onto the breadstick. Gently tap off the excess candy melts. 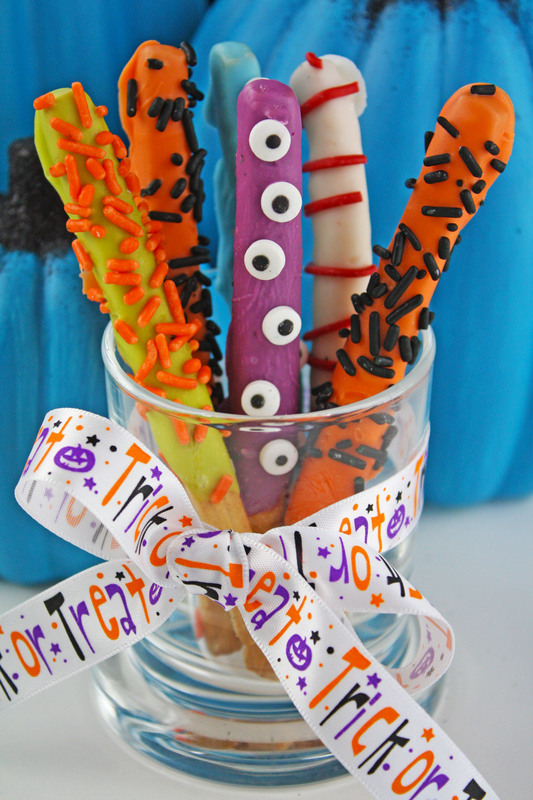 Place the dipped breadstick on a parchment lined baking sheet and chill until candy sets. Repeat the dipping process to get vibrant colors. 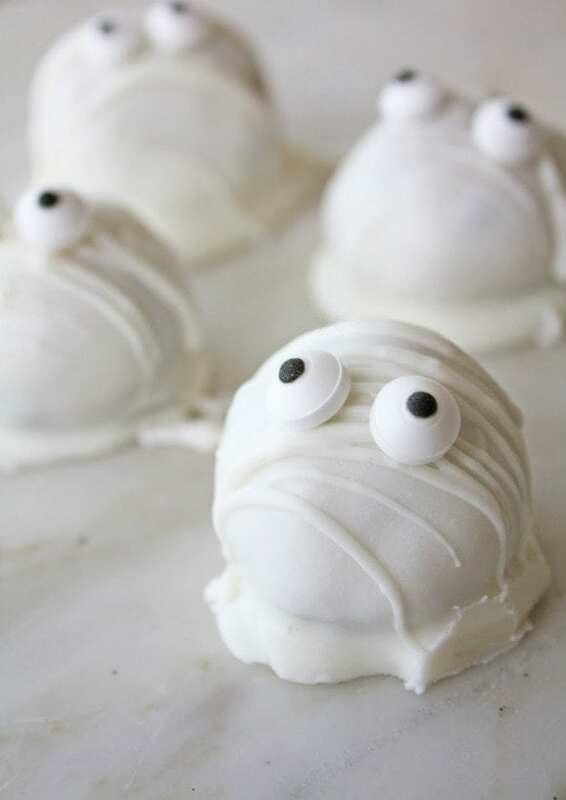 Add the candy eyeballs after while the melts are still wet. Place in the fridge to set. To make the Halloween sprinkle pocky, dip the mini breadsticks into the orange and lime green melted candy. 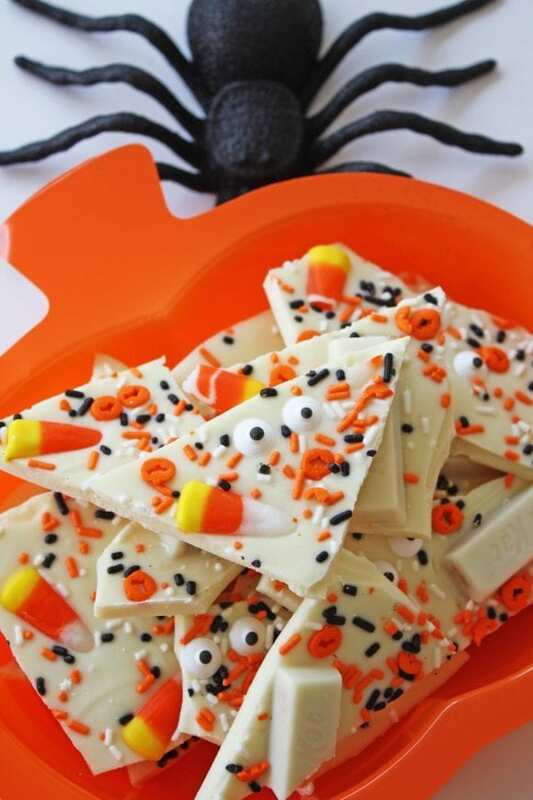 Gently tap off excess candy and place on a parchment lined baking sheet to chill. 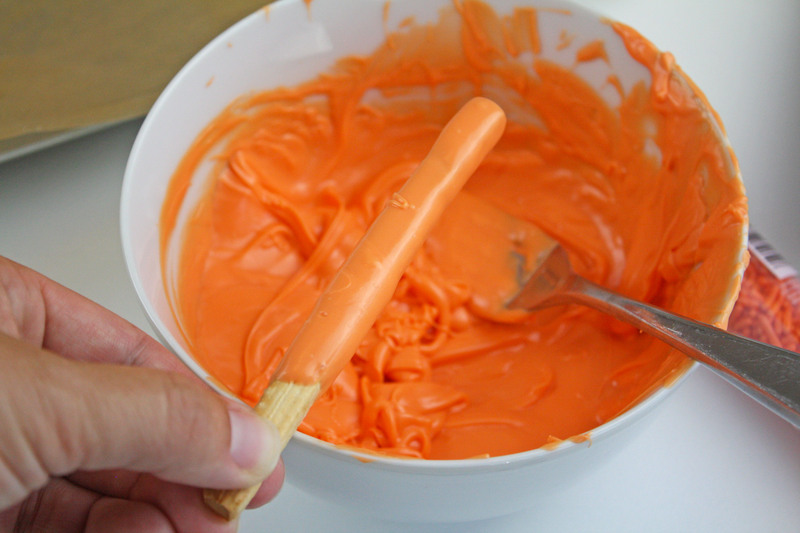 Repeat the dipping a second time but add the black and orange jimmie sprinkles to the wet candy coating. Chill pocky to set. For the white and red pocky, start by dipping the breadsticks in white candy melts. 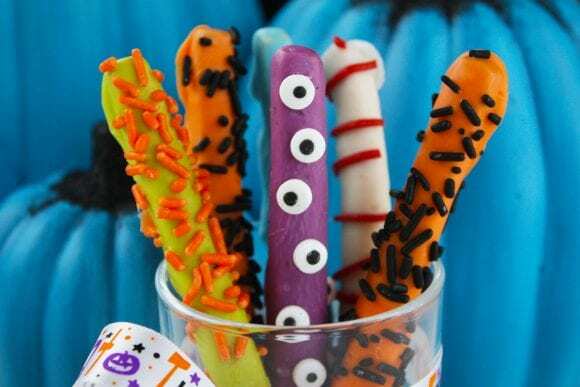 Repeat 2-3 times and place in fridge with each dipping to let the candy melts set. Put the red melted candy in a piping or ziploc bag and cut the tip off. In a back and forth motion pipe the red candy melts over the white dipped pocky. Place in fridge to set. For more Halloween inspiration, check out all our awesome Halloween parties, free Halloween printables, and fun Halloween recipes, crafts, and roundups.